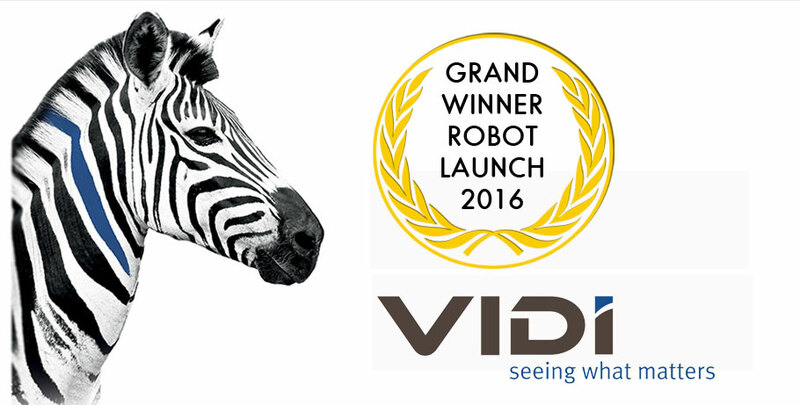 Vidi Systems from Switzerland is the overall Grand Winner of the 2016 Robot Launch global startup competition, beating out many US contestants in a field that included sensors, artificial intelligence, social robots, service robots and industrial solutions. Overall, the European robotics startups performed very strongly this year with 8 making The Shortlist for awards. Canada also had good representation with 3 entries, but the rest of The Shortlist were based in the USA, even if they had originated in Israel or Hong Kong. 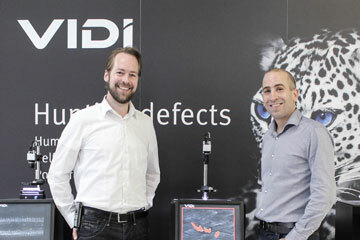 Switzerland based ViDi Systems provides deep learning vision software dedicated to automated aesthetic inspection & classification for a wide range of applications in pharmaceutical, med-tech, watch Industry, automotive, logistics center, bottling industry, textile, printing, ceramics, photovoltaic etc. Robot Launch judges said that they picked ViDi Systems for their “great early traction, impressive customers, strong team and large market potential”, noting that while ViDi Systems were clearly one of the most mature startups in The Shortlist, that they had achieved a lot in a comparatively short period. The Robot Launch Grand Winner receives mentorship from Silicon Valley Robotics, Odense Robotics, QUTbluebox and the Australian Center for Excellence in Robotic Vision, connections which, along with the feature on Robohub.org, will be very useful for a startup interested in global expansion. In contrast, the next most highly ranked startups, Robolink and Franklin Robotics were very young, with Robolink shipping educational robotics from San Diego, drawing on a background growing the local maker community. And Franklin Robotics developing an affordable gardening robot based on team expertize gained as founders at iRobot and Harvest Automation. All of The Shortlist were evaluated by a team of investors and expert judges from venture capital firms and robotics clusters, including Intel Capital, Grishin Robotics, InnoSpring, PropelX, ElevenTwo Capital, Comet Labs, Root.vc, Singularity U’s Explorers Fund and Sony Ventures. Behind the scenes, there are some term sheets being offered to select startups. We can’t say more, but we can announce the rankings and other awards. Odense Robotics and Invest in Odense are offering an incubation award for the Best European Startup team (2 persons) as follows: Travel to / housing in Odense, 1-month for 2 persons in Odense (travel/housing value 1500 USD), access to all Odense Robotics StartUp Hub facilities, Robot Innovation Hall, the other startups in the Hub, for one month (during May / June 2017), preparing for the JUNE PITCH SESSION – for the board of Odense Robotic StartUp Hub where they might be selected as one of two StartUps to enter the Odense Robotic StartUp Hub (12 months). Silicon Valley Robotics will offer a startup membership to all of The Shortlist, providing introductions to investors in Silicon Valley, access to network events and hosting in the new Robot Launchpad accelerator space. We are also coordinating demo opportunities at expos around the world. Although there were no shortlisted startups from the other regions, QUTbluebox and the Australian Center for Excellence in Robotic Vision will be offering mentorship and ‘down under’ connections to the Robot Launch winner.